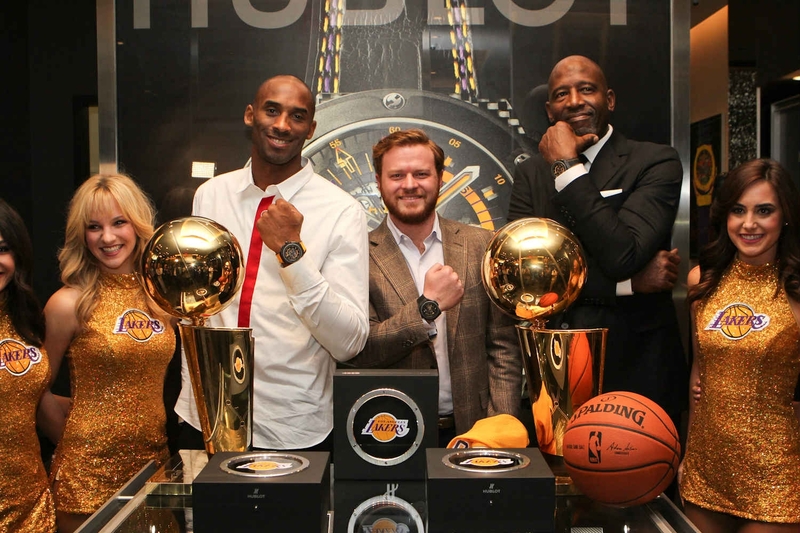 Earlier this week in Beverly Hills, Hublot celebrated the launch of its first timepiece with the Los Angeles Lakers – the King Power “Los Angeles Lakers Hublot Watch” – the Official Watch of LA’s famed basketball team. 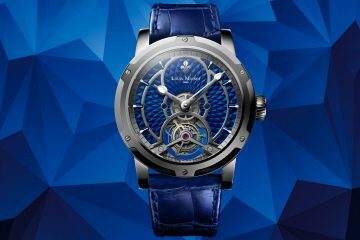 Lakers star player and Hublot Brand Ambassador, Kobe Bryant, joined in the celebration with Hublot Partners John and Greg Simonian to unveil the new timepiece to the public for the first time. Boasting 16 NBA titles, the Los Angeles Lakers are among the most successful and storied franchises in the NBA, and one of the most popular teams in the world. 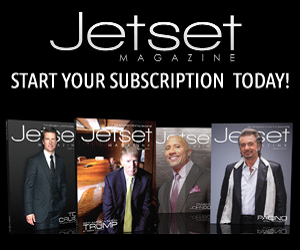 In the heart of the city, a Lakers game effortlessly fuses basketball with fashion, celebrity, luxury and excitement. 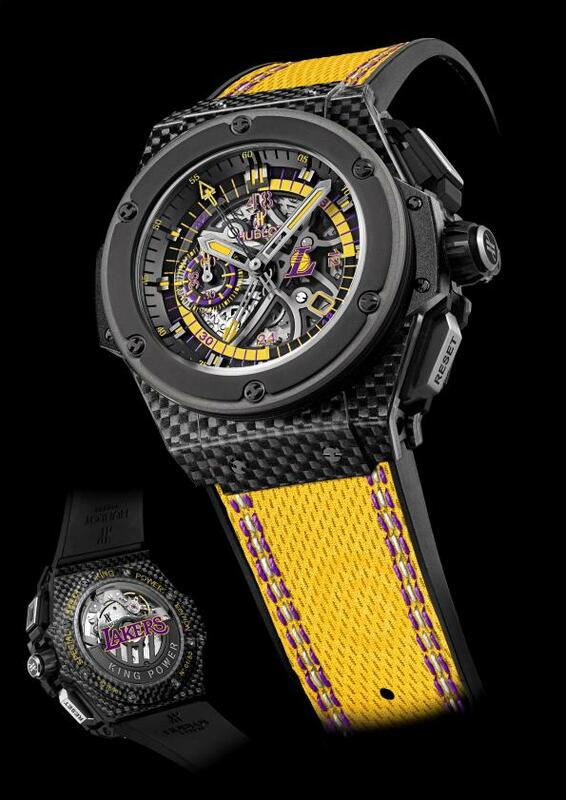 The King Power Los Angeles Lakers is Hublot’s first timepiece with the renowned basketball team since Hublot became the Official Timekeeper of the Los Angeles Lakers in January 2013. 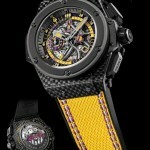 Hublot has produced two timepieces with Kobe Bryant, a Hublot Brand Ambassador since March 2013 – the King Power Black Mamba and the King Power Black Mamba King Gold. Kobe gave praise to to former Laker James Worthy while commenting on how it used to be a big deal for an athlete to score a sneaker endorsement and now it’s luxury watches. 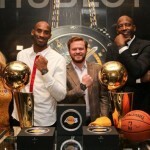 Hublot and Kobe Bryant celebrated the launch with an exclusive event at Hublot’s Beverly Hills Boutique, followed by an intimate dinner nearby. Four Laker Girls assisted in the unveiling of the timepiece, in addition to Lakers Legend James Worthy. As a Lakers Hall of Famer, Worthy is credited as one of the 50 Greatest Players in NBA History. 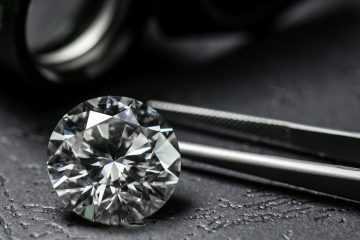 Worthy was selected #1 overall in the 1982 draft and was the 1988 NBA Finals MVP, as well as a seven-time NBA All-Star.